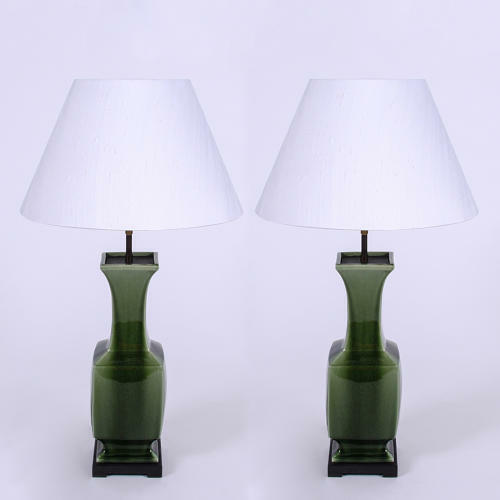 Pair of green ceramic lamps with ebonised wood base and stunning two tone glaze finish. Handmade silk lampshapes. Rewired and PAT tested.